The slender Slimline floor package enables realizing more upper floors without increasing the building height and create a structural diaphragm by interconnecting floor elements. What is your interest in smart structural floors? After placement of the building installations in the floor, Slimline is not fully filled, but covered with a top floor of your choice, even in the case of residential separation. This saves time, costs and weight. Modern building services are increasingly voluminous. The hollow Slimline floor offers ample installation space. In addition, thermal activation of the ceiling plate can be prefabricated. Slimline offers exceptional acoustics and fire resistance properties, which makes it a great option for apartment buildings, potentially including full freedom of layout and adaptability. Floor layouts can easily be changed using FlexZones allowing access to building services. Because the services aren’t poured in concrete, even full functional changes are possible.  opiam Group has a passion for making industrial semi-finished products and components of steel, concrete or combinations, as a chain director for our customers. By joining years of experience in the construction industry with the Slimline and KanaalBreedPlaat floor systems with steel trade and delivery with Reesink Staal offers Copiam Group integrated products and services that result in less use of materials, smarter processes, lower integral and total cost of ownership and sustainable building constructions. Broad expertise in steel, concrete and structural flooring comes together in our computer-controlled production facility with extensive processing options under one roof, minimizing material movements for optimum synergy and efficiency. With a wide range of services, from raw material processing to expert advice and from direct machine control to complete logistic services with quality certification, Copiam Group is your full-service partner for creating structural synergies. Smart, light and integral structural floor system for better, adaptable buildings. Copyright © 2019 Slimline Buildings B.V. - All rights reserved. Enter your details and do not miss out!